My kids love balloons. What kid doesn’t? So, it’s only natural that we would do balloon science experiments. There are lots of science experiments with balloons out there, but this Magic Light Bulb Balloon Science Experiment is the most fascinating of all. My kids were mesmerized and asked to do it over and over again. That’s the sign of a good, easy science experiment for kids. 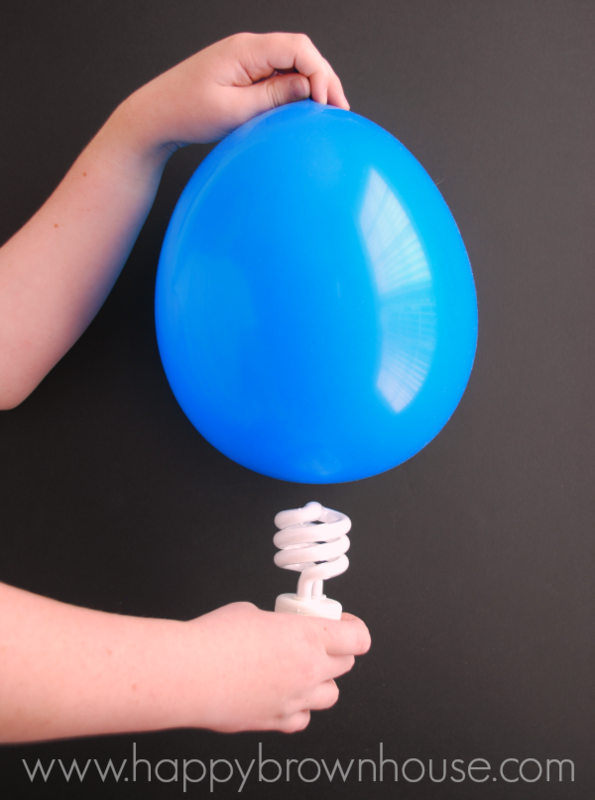 This science activity with a balloon is a great balloon STEM activity. 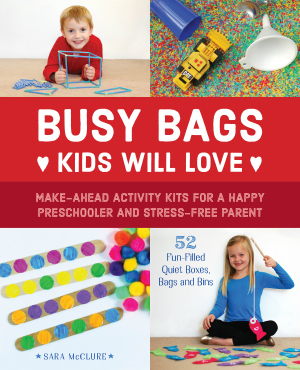 It would even be a fun balloon magic trick for kids…because this activity definitely has some magic to it. Pure magic, I tell ya. You’ll definitely get some cool points for doing this one. What if I told you that you could make a light bulb light up with a balloon? Would you believe me? 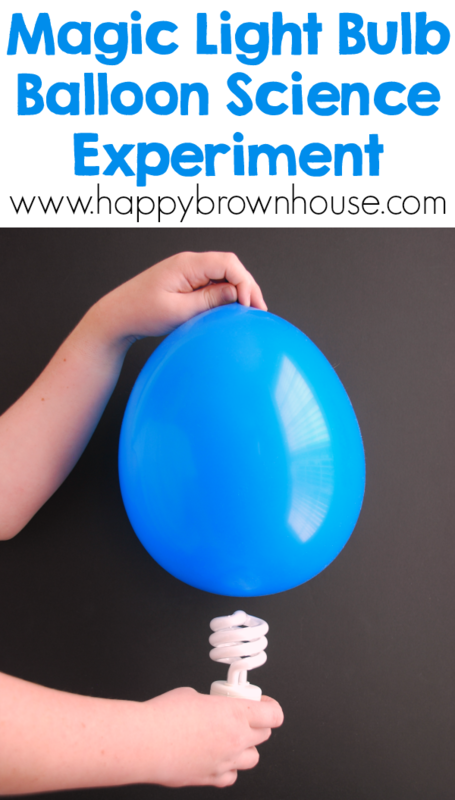 Probably not, but it’s definitely possible with this balloon science activity! Go into a dark room with the balloon and the light bulb. Wait a minute for your eyes to adjust to the darkness. 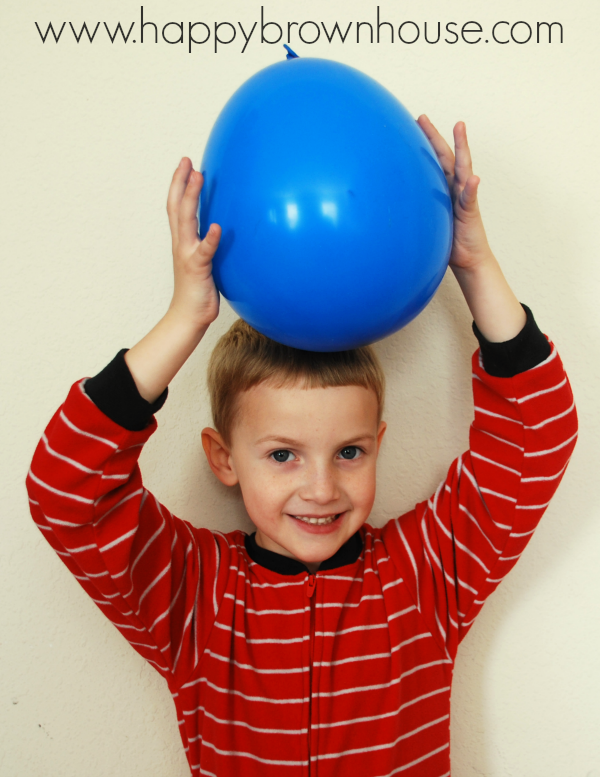 Rub the top of the balloon back and forth on your hair several times to make some static electricity. Point the light bulb towards the top of the balloon, holding the bulb close to the place where you rubbed the balloon. Move the balloon back and forth quickly over the light bulb. Don’t touch the balloon to the bulb. Hold the balloon still near the bulb. Notice that the bulb does not light up when the balloon is still. The only time you see the effect is when the balloon is moving. Note: If you don’t see anything happen in your bulb, your room might not be dark enough or you hair might not be clean enough. Try dimming the room more or try using someone else’s hair. You can also try rubbing the balloon on a wool blanket. If the humidity is high, you might try on a less humid day. How did the balloon light up? If the experiment went well, you should have seen a dim light coming from the bulb when you moved the balloon. The light didn’t appear when you held the balloon still; you only saw it when the balloon was moving. So, what explains this interesting effect? Your hair contains electrical charges. When you rubbed the balloon in your hair, it picked up some of those electrical charges (static electricity). Well, the light bulb you used also has electrical charges in it, and some of them were attracted to the balloon. When you moved the balloon, it moved the electrical charges inside the bulb. Eventually, those charges bumped into some chemical in the bulb, and that bump caused the mechanical energy (motion) of the moving charges to be converted to radiant energy (light). This is actually how these light bulbs produce light. When the electrical charges bump into chemicals in the light bulb, mechanical energy is converted to radiant energy. As a result, light is made. When you are using the light bulb in a lamp, the electricity that runs the lamp moves the electrical charges inside the bulb. Instead of using electricity from the wall socket, however, you used a balloon with electrical charges just so you could see it is the energy of motion (mechanical energy) that gets converted into light (radiant energy). Now, if you didn’t understand all of that, don’t worry about it. The only thing you have to understand is that the mechanical energy of the balloon’s motion was converted into another form of energy: radiant energy. Since radiant energy is light, you ended up seeing the light coming from the light bulb. Balloons are for more than just science experiments and balloon animals. If you love balloons, you’re sure to love these items. There’s everything from shirts to home decor included in this list. There’s something for everyone. Disney’s Up movie is a must-see. Grab the tissues! This Balloon Throw Pillowcase is so stinkin’ adorable. I love this Adventure Is Out There Vintage Inspired Shirt. This Balloon Ornament makes me smile. If you’re a fan of Disney’s Up movie, you’ll love this charm for your charm bracelet. I pretty much need this Beach Towel. Want to add some balloon decor to your home? This Balloon Watercolor Art Print is adorable. It would go perfectly with this “Adventure is Out There” comforter.